Whether the wind shifted for the downwind leg or you need to reach home to the marina, knowing how to reach with your runner or run with your reacher is a valuable skill. Quantum's Reed Cleckler shares his tips for these valuable techniques. Reaching when you were made to run - A J/22 team reaches for the mark in Texas. Photo by John Lever. 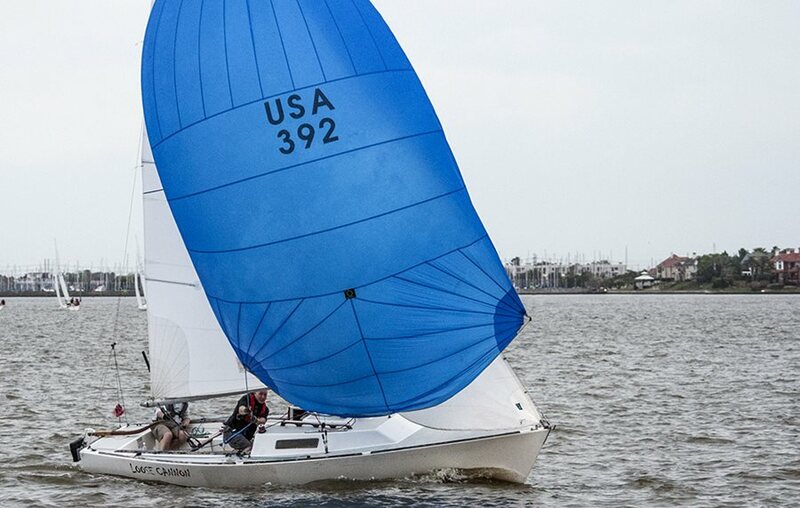 While each sail has a prescribed purpose or wind range, there are techniques that allow you to push a sail beyond its intended purpose, particularly when it comes to spinnakers. Whether you want to avoid a sail change or you need to quickly alter course to make a mark or destination, here is how to set up your downwind sails to reach or run when the breeze is not cooperating. 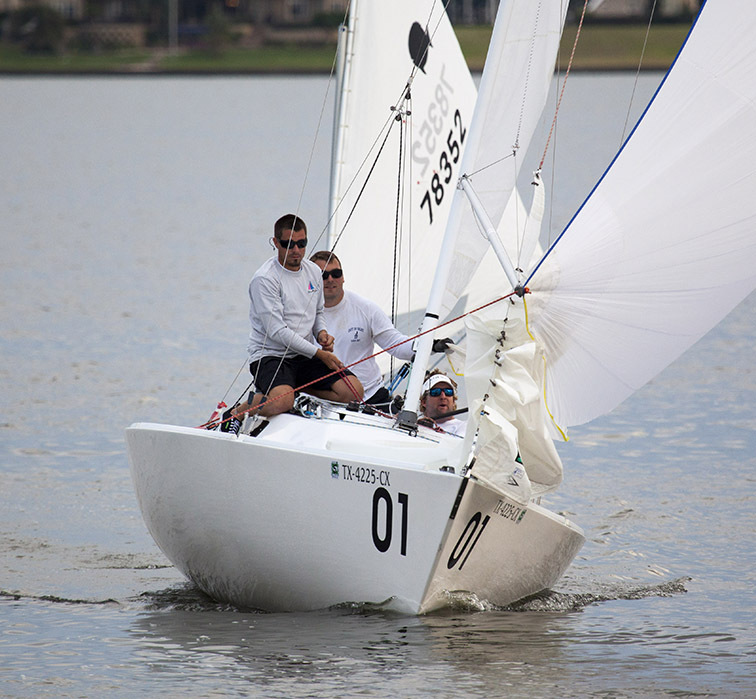 Symmetrical spinnakers are designed to fly with the fullest shape possible. This allows the boat to run faster downwind by capturing as much breeze as possible. However, when you want to reach, you will need to set your symmetrical kite to act like an asymmetrical one. Start by moving the pole forward and down. Next, set the weather tweaker at the deck and ease the leeward tweaker (use your spinn-pole down haul, if equipped). Moving the pole forward sets the tack close to centerline (like a sprit) while the pole tip-down hardens the luff so it can act as a leading edge (like an asym). The hotter the angle of sail, the more forward the pole will need to be relative to the forestay. (Note: Be careful to keep the pole controlled and prevent it from banging against the forestay. A sudden gust can cause crash it into the forestay and damage the rig.) Once the pole is properly positioned, cleat the guy and have the trimmer trim the sail like an asymmetrical kite. Ease the sheet until the luff curls, then back in again. If you sheet it in hard or tight, it will act similar to a code zero. Run, Run, Runaway - "Kenai" sails near dead downwind at the 2017 Key West Race Week. Photo by Sharon Green. to sail deeper than the polars might recommend, there are a few simple adjustments you can make. Start by easing the tack 10-18 inches to extend the length of the luff to give a fuller shape. This allows the sail to rotate around the forestay. Next, as the driver turns down, the trimmer should ease the sheet to induce even more rotation. This combination helps project the sail area forward and enables the kite to run deeper. Trim as you normally would. Whether conditions call for reaching or running, the ability to maximize your downwind inventory is a handy skill. Because every boat is rigged a bit differently, the exact adjustments can be specific to the boat or one design class, but these tips will get you started. 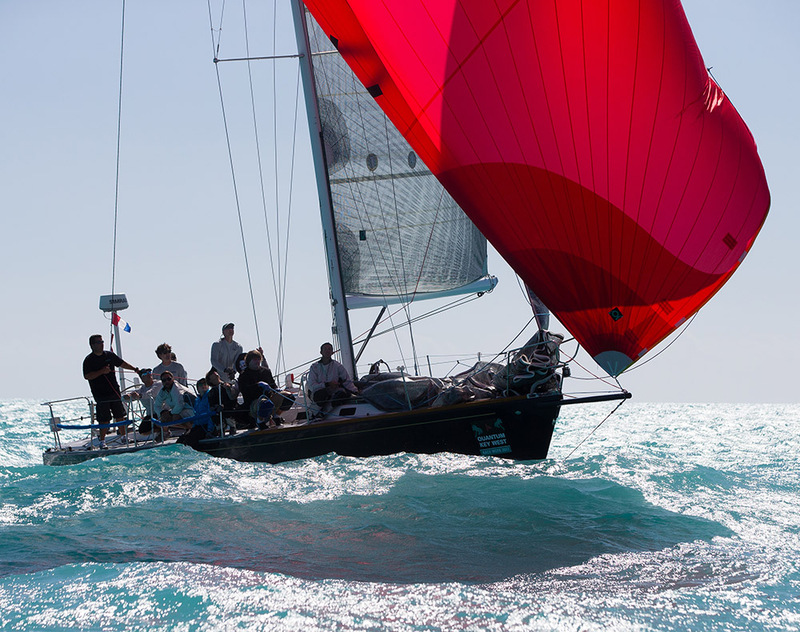 For more information on a particular boat and spinnaker setup, reach out to a local Quantum rep to discuss in detail.